With Black Panther making his cinematic debut, the likely first appearance of an All-New, All-Different Spider-Man, and the live-action adaptation of one of the most beloved comic book storylines in Marvel Comics history, how big can Captain America: Civil War get? You have no idea. Until now. With Avengers: Age of Ultron in our rear view mirror as we head towards July's Ant-Man, the de facto conclusion of Marvel Studios' box-office stomping Phase Two, we already knew that Phase Three is going to kick off with one hell of a bang. Apart from being the live-action adaptation of one of the most beloved comic book story arcs on recent history, the popular storyline will be depicting the all-out war between two groups of superheroes led respectively by fan-favorite Avengers (both cinematically and in the comic books), Robert Downey Jr's Tony Stark AKA Iron Man versus Chris Evans' Steve Rogers AKA Captain America. If that doesn't raise your enthusiasm in any ways, you probably shouldn't be here in the first place. And with Chadwick Boseman making his big screen debut as Black Panther, as well as the fact that we are pretty dead certain that the All-New, All-Different Marvel Studios/Sony-friendly Peter Parker AKA Spider-Man will be making his first-ever appearance in the film, there is simply no way that Captain America: Civil War can be even bigger than that. Until yesterday when Disney release an official press release announcing the beginning of principal photography for the third instalment of Captain America film series along with a most massive cast roll call. Indeed, this is even more characters than Age of Ultron. Whoever has been calling this Avengers 2.5 is certainly not exaggerating the state of play here. We can certainly feel that Marvel Studios is giving Warner Bros. Pictures' Batman v Superman: Dawn of Justice a run of their money. While it is somewhat surprising that Paul Rudd's Scott Lang AKA Ant-Man will be making his first collaborative appearance in the greater universe, it is William Hurt's appearance as General Thaddeus “Thunderbolt” Ross that is the big surprise here since this is officially the first time Marvel Studios actually confirms the existence of their somewhat illegitimate child in 2008's The Incredible Hulk. Also of note is the continued radio silence on the role of Daniel Brühl as the antagonist role of Baron Zemo. And of course, the official inclusion of Martin Freeman in the cast (thereby creating the fan fantasy of BBC's Sherlock meeting John when Benedict Cumberbatch's Doctor Strange meet whoever Freeman is playing) but not indicating his role. 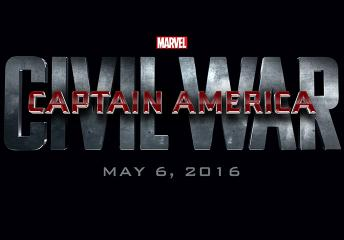 Captain America: Civil War is currently scheduled to be released on May 6, 2016 in 3D and IMAX.